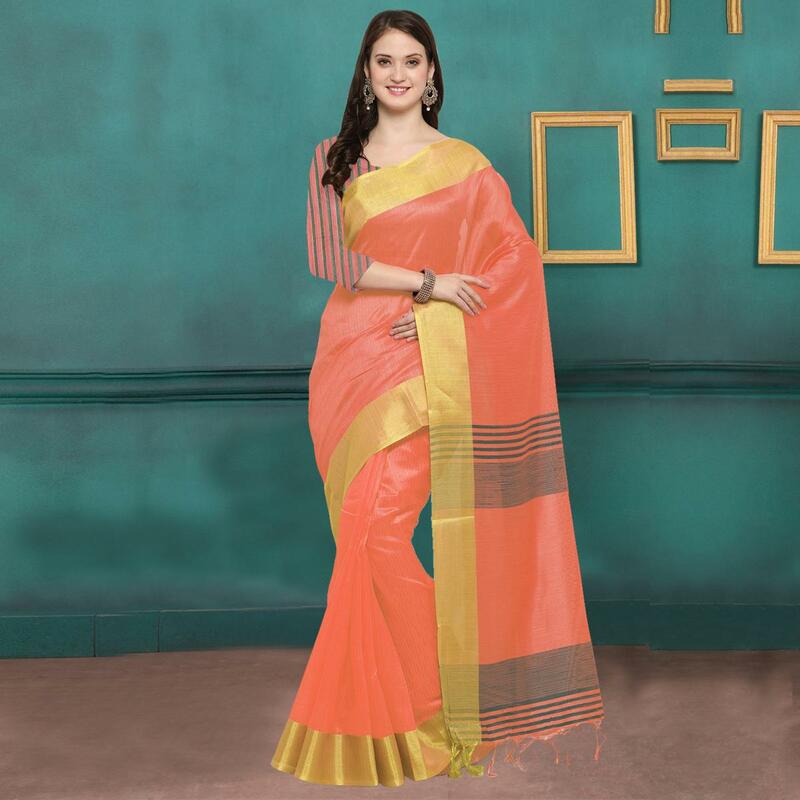 This peach saree enriched with geometrical stripes print lower pallu and solid color woven border is a perfect addition to your ethnic closet. 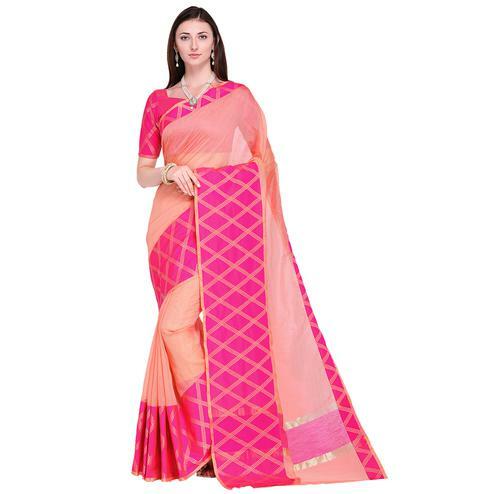 It's made out of ghicha silk fabric and comes along with matching unstitched blouse piece with geometrical stripes print. 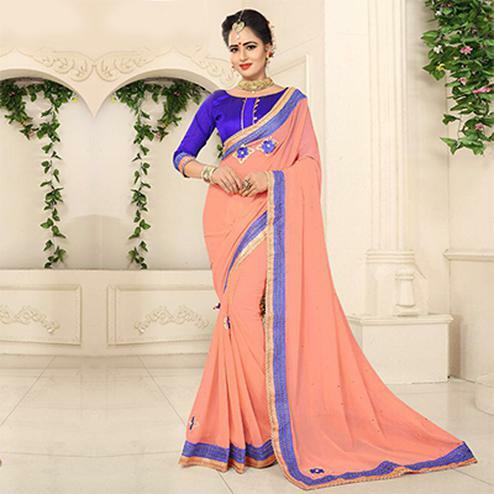 It's a perfect saree to buy for casual outing and social get together.